At Jarrods, when it comes to staircase renovations, we pride ourselves on our customer service. In fact, customer satisfaction lies at the heart of everything we do. That’s why we created our finely-tuned Jarrods Approach, to ensure that every customer receives the best possible service. 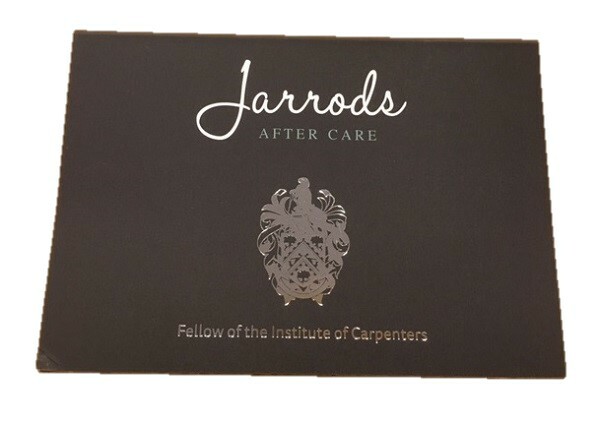 With this in mind, we’re proud to present the Jarrods staircase aftercare kit; available to all of our bespoke staircase customers at the end of every installation. Depending on the material it’s been made from, our staircase aftercare kit will contain everything you need to make your staircase look as good as the day it was installed. 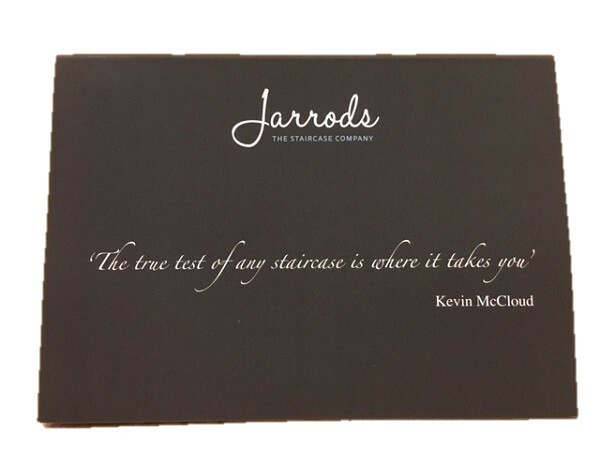 Since no two Jarrods staircases are ever the same, we take the same approach with our staircase aftercare kits. Each kit is tailor-made to ensure that your staircase is given just the right levels of TLC, including products that have been created specifically for us. 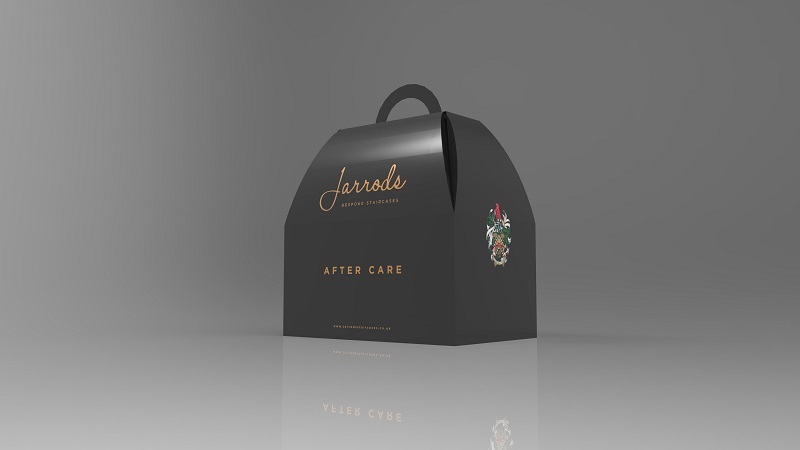 The aftercare card that accompanies every kit will detail its contents and contain instructions on how to use them. Every staircase we create is unique, whether it’s a traditional wooden staircase, modern metal staircases or a contemporary glass staircase. Because of this, they all require different care. While we give all of our customers a 10-year guarantee on their staircases, you still need to care for your staircase to ensure it stays in great condition. Whatever the material, glass wood or metal, we’ll ensure that you have everything you need to take care of your staircase once it’s been installed. If you want to find out more about our service and what you can expect to receive in a staircase aftercare kit, get in touch with our team today.